Jeri over at Have Faith.Everyday. 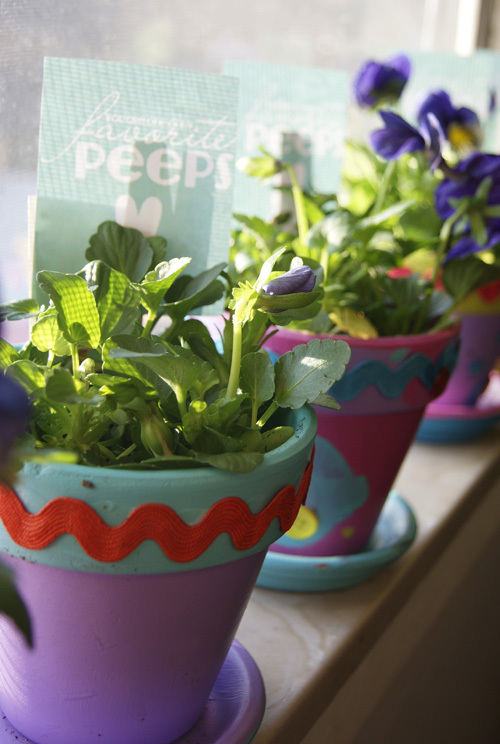 shared these adorable flower pots that she left on her neighbors doorsteps for Easter. How sweet is she? She used my “You are one of my favorite peeps” print as decoration for the flower pot. I absolutely love the way she used the print. Go visit and give her some comment love. Get the printable here if you haven’t checked it out yet. Hey! Thanks for the shout out…and the free printable. My neighbors were so surprised to receive these pots.